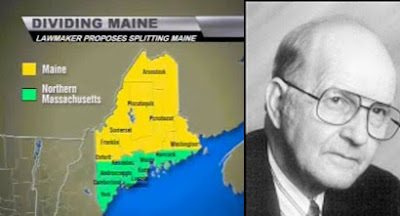 Maine's would-be breaker-upper Henry Joy is at it again... this week he's been pressing his plan to split Maine into two states. (He first pitched his plan in 1998.) 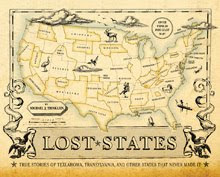 Joy's quixotic cause is mapped and detailed on page 13 of Lost States. I love this guy.... he knows how to get great press coverage. Follow the link to a FoxNews story.